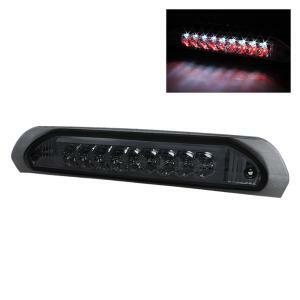 Xtune Smoked LED Third Brake Light 02-08 Dodge Ram Xtune Smoked LED Third Brake Light 02-08 Dodge Ram, Xtune BKL-DR02-LED-SM 3rd Brake Light, 02-08 Dodge Ram 3rd Brake Light, 02-08 Dodge Ram LED 3rd Brake Light, 02-08 Dodge Ram Smoked LED 3rd Brake Light, 02-08 Dodge Ram Smoked 3rd Brake Light, Dodge Ram [Xtune BKL-DR02-LED-SM Light] - $69.95 : 3rd Strike Performance, Your Source for Late Model MOPAR Performance Parts and Accessories! The Xtune Group has been serving the auto industry for nearly a decade. We specialize in wholesale distribution of automotive products. We are the leading providers of aftermarket lighting, tuning and styling auto parts in the U.S. Our 140,000sqft corporate headquarters is located in the City of Industry, California.